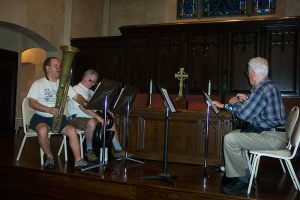 The 24th Annual Historic Brass Society Early Brass Festival had the theme “Moments of Change: Zorzi to Armstrong. 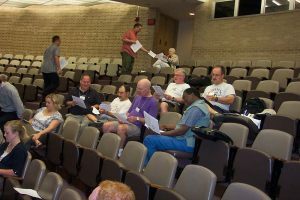 Key moments of change in brass music from medieval wind bands to jazz.” This theme provided the impetus for a wide range of fascinating presentations on the campus of Loyola University in New Orleans on July 24–27, 2008. 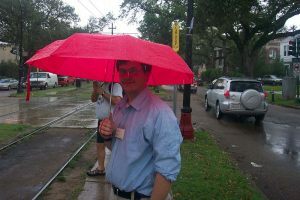 Festival Co-director and Loyola trumpet professor, Jeremy Brekke, started the festivities on Thursday while HBS President, Jeff Nussbaum did battle with the faltering airline industry, cancelled flights, and long delays but managed to finally arrive in New Orleans 18 hours later than originally planed. 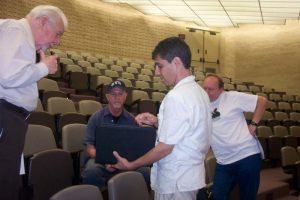 The first event of the EBF was a tour of the Hogan Jazz Archives at neighboring Tulane University by curator Bruce Raeburn. Later in the day, Raeburn presented a wonderful talk on Sam Morgan’s jazz band. (All paper titles and abstracts are listed below. The most special aspect of this year’s Festival was the participation of the keynote speaker, the noted scholar, composer, educator, and horn virtuoso, Gunther Schuller. 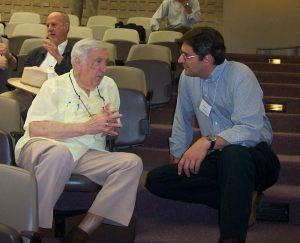 At 82 years old, Schuller seemed decades younger, exhibiting remarkable energy, participating in all the sessions, and engaging the speakers and EBF participants to everyone’s delight. While the number of participants was lower than in recent years, no doubt due to the poor economy, high price of gas, and the high price and general disastrous state of the airline industry, participants did have great fun in the informal playing sessions, most noticeably the natural trumpet ensemble and the serpent and ophicleide players. "Winds of Change: Technology, Pedagogy, and Disaster in the Making of Sam Morgan’s Jazz Band"
This paper will explore the circumstantial vagaries that produced one of the most interesting New Orleans jazz bands of the 1920s, Sam Morgan’s Jazz Band, whose recordings for Columbia in 1927 have elicited often contradictory commentary about the band’s place in jazz history. 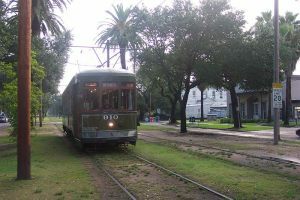 The rural hinterland contributed substantially to the development of a pool of gifted players and practices in New Orleans during the period 1915-1925. This phenomenon was set in motion by the actions of itinerant brass “professors” from the city such as James Brown Humphrey and Frank Duson, whose teaching enabled amateurs Sam and Isaiah Morgan and Nathan Robinson to supplement musical activities based on homemade instruments with a modicum of training derived from the conservatoire tradition. Yet the forces that drew these rural brass musicians to the metropolis, where they developed associations with local musicians in Tremé, the Seventh Ward, and Central City, were also the products of cataclysmic events such as the Hurricane of 1915 and the First World War. This paper is intended to illustrate how investigation of social, geographical, and cultural factors can enhance musicological considerations in accounting for the making of a singular jazz band and the variegation of New Orleans style jazz as a regionally distinctive idiom in the 1920s. "A Fresh Look at an Ingenious Mechanical Contrivance: The Woodham-Rodenbostel Slide Trumpet"
The widely traveled music historian and critic Charles Burney was not happy with the trumpet of his time. Criticizing the playing of James Sarjant, one of the foremost English trumpeters of the late 18th century, Burney lamented the intonation problems that tortured him during a performance celebrating Handel’s birth centennial in Westminster Abbey in 1784. The eleventh and thirteenth partials, so Burney complained, were unbearably out of tune in “The Trumpet shall sound,” an inevitable fault of the trumpet. If only this bad effect could be removed with some “ingenious mechanical contrivance” Burney wished. It did not take long before an instrument-maker and a clock-maker picked up on this stinging criticism: George Henry Rodenbostel and Richard Woodham in London improved an existing natural trumpet by adding a slide with clock-spring return mechanism, probably as early as 1789, and by doing so laid the grounds for the English mechanical slide trumpet of the 19th century. 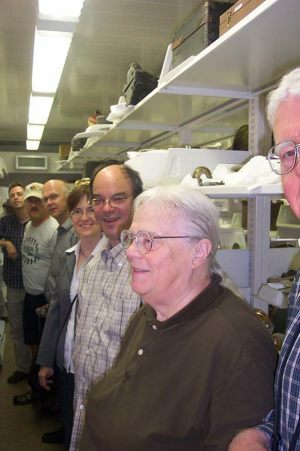 This trumpet, which was the topic of an article by Peter Barton in the Galpin Society Journal in 1989, was bought for the Utley Collection and The National Music Museum, The University of South Dakota, in October of 2007. It is therefore time to have a fresh look at this “ingenious mechanical contrivance” which changed trumpet history in England forever. "The Writings of Antonio Tosoroni: Promoting the Early Valved Horn as an Orchestral Instrument in 19th-Century Italy"
The invention of the valve and its use in brass instrument construction during the 19th century made a significant impact on the development of brass performance. With respect to the development of horn playing during the period, the strength of the valve’s impact was tempered by the adherence of many performers to the natural horn. It is well known that horn players in the municipal, provincial, royal and military bands were among the first to take up the new valved horn with enthusiasm. A testament to this fact was the invention of a wide variety of valved instruments designed to fill the role of the horn in those bands. But the use of the valved horn in the orchestra and efforts to promote the instrument for that purpose were not always met with enthusiasm. Two books stand as a testament to the valved horn’s ability to succeed as a member of the orchestra: Antonio Tosoroni’s Metodo per il corno a tre pistoni and Trattato pratico di strumentazione. The horn player and teacher Antonio Tosoroni worked in Florence in the service of the Grand-Duke of Tuscany, Leopold II. Although little information regarding his life is available, the publications of his Metodo per il corno a tre pistoni in 1846 and Trattato pratico di strumentazione in 1850 represent important contributions to the advancement and promotion of valved horn playing during the 19th century. Antonio Tosoroni’s Metodo presents a radically different approach to valved horn playing from that described by Joseph Meifred, author of the first method for the valved horn. Meifred’s Méthode pour le Cor Chromatique, ou à Pistons (Paris, 1840) promotes a technique for the valved horn that uses the valves as crook (key) changing devices. He treats the instrument, a horn with two valves, essentially as a natural horn with the ability to change keys, maintaining the use of the hand in the bell. Conversely, Tosoroni describes a method of playing the instrument that utilizes the valves to produce all the notes of the chromatic scale over a very wide range, without any use of the hand in the bell. He also states that any horn player can learn to play the entire range of the horn with one mouthpiece; a major shift away from the traditional division of labor between high and low horn players. 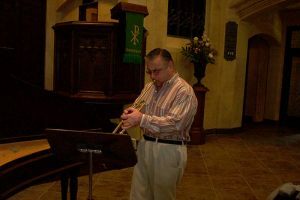 Tosoroni promotes the use of the valved horn to play all of the horn parts in the orchestra and offers advice to horn players and composers on the best ways to accomplish that. The Trattato pratico di strumentazione was written specifically for composers, but contains important information for horn players. In his treatise, Tosoroni includes two chapters on the horn: one for the natural horn and one for the valved horn. He lays out his ideas on natural horn technique and its usage in the orchestra. Tosoroni was a student of Giuseppe Belloli, brother of the famous teacher and player Luigi Belloli, and he acknowledges the accomplishments of both men. The approach to the natural horn contained in the Trattato is among the best information available concerning the Belloli family’s teaching. Regarding the valved horn, Tosoroni promotes it as the better of the two instruments and claims that anything that can be done with the natural horn can be exceeded with the newer instrument. He provides valuable information to composers regarding scoring for the new instrument and advice concerning the choice of keys. Tosoroni’s writings offer unique insight into the technique, pedagogy and promotion of the valved horn during a time when it was still under development and its place in the orchestra was not yet solidified. This paper discusses the content of both the Metodo per il corno a tre pistoni and the Trattato pratico di strumentazione. Brief comparisons to the work of contemporary authors such as Mayr, Berlioz, Kastner, Kopprasch, Dauprat, Meifred and others are made. English translations of portions of both books are presented, along with musical examples. "Some Thoughts on the Cadenza in Classical Trumpet Concertos"
Beyond doubt the E-flat Major Concerto by Joseph Haydn is the central concerto of the trumpet repertory. In this piece you have the ideal meeting of two opposite forces: the soloist on the one hand and the orchestra on the other. In addition, they represent two forces: the virtuosity on the side of the soloist and the thematic integration and motivic process on the side of the orchestra. This has been the distinguishing mark of the concerto since the day of pre-classical concertos by Carl Philipp Emanuel Bach, the Mannheim School and others. The crucial point of the part of the soloist is the virtuoso cadenza. The soloist fulfils his principal task of displaying soloistic ability and virtuosity never as neatly as at this very point - let‘s say - towards the end of the movement. The audience devote their attention to the player of the solo part, who grows beyond himself soloistically because he now has to make his own decisions which surpass his previous work of rendering the printed text as perfectly and as brilliantly as possible. I want to consider the problem of the cadenza in a solo concerto not from the perspective of a trumpeter but I want to develop some ideas on the basis of contemporary writings and also of written cadenzas that have survived to an altogether too small extent. I concentrate on cadenzas not on improvisatory Eingänge, or prolongations of any note indicated by a fermata sign. I restrict my considerations to cadenzas in first movements which normally have a well-built and balanced structure, most often on the basis of a modified sonata form. Franz Xaver Richter (1709-1789) was best known as a composer of symphonies. His compositional output during his time as “Senior of the Mannheim School,” and later as Maître de chapelle at Strasbourg Cathedral, includes many sacred and chamber works, nearly 70 symphonies, and 33 known concertos, including a Concerto in D à 5 Voc. per Clarino Principale. The only known original source of Richter’s trumpet concerto is found in manuscript in the Library of Congress. It is the third in a set of four late baroque/early classical concerti that has become known as the “Fulda Collection.” Of these notable works, Richter’s concerto is one of the most well-known to modern trumpeters. The concerto is significant in trumpet history due to its place in a small body of works that represents the absolute pinnacle and simultaneous decline of clarino technique, including concerti by Joseph Riepel, Anonymous [Stamitz/Holzbogen], Michael Haydn, and Georg von Reutter the younger. The concerto demands extreme control of the highest partials of the trumpeter’s range, considerable endurance, and great sensitivity. Several theories have emerged regarding the precise date and identity of the concerto’s original dedicatee. All have insufficient evidence to fully support them. I will investigate some of these hypotheses and draw some more logical conclusions from the evidence surrounding the concerto’s original circumstances. I will analyze the concerto in detail in terms of form, harmony, and motivic structure, with special attention to Richter’s much criticized predilection for the use of sequences. Also, I will discuss issues pertaining to the interpretation of this concerto, in order to help produce a performance that might have been expected, or at least conceivable, in Mannheim in the middle of the 18th century. These issues include questions of tempo, articulation, the interpretation of trills and appoggiaturas, pitch standards, cadenzas, and orchestration. This study will provide further information for the performer concerning these issues, using contemporary sources (including treatises by Altenburg and Quantz, among others) as well as the work of modern historians. I will present these findings in the form of a lecture along with the first known live performance on baroque trumpet of Richter’s concerto in modern times, utilizing the interpretive details and approach detailed in the study. 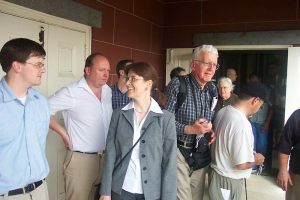 "Reminiscences and Thoughts on Moments of Change in Brass Music"
This keynote lecture will focus on a variety of subjects, all connected anecdotally to my career as a horn player, conductor, and scholar. 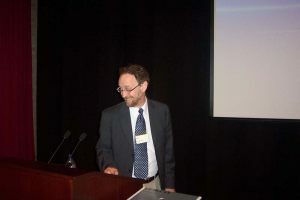 Among the many topics of discussion will be Brahms’ extreme conservatism on brass instrument in general, but especially the horn (how and why), Wagner’s writing and notation for the horn in his early years, after the invention of the valved horn, the development of the high range on the trumpet in the early 20th century, experiences of 15 years at the Metropolitan Opera Orchestra, the creation of my Brass Symphony (for 16 brass), and other developments in classical brass music. On the jazz side, topics of discussion will include my work as a pioneer player and composer bringing the horn into jazz in the mid-forties, my work with Miles Davis, friendships with Duke Ellington, Duke’s trombone section, and working with Cootie Williams, Cat Anderson, Rex Stewart and others. Also included will be discussion of crossover players such as Joe Wilder, Bernie Glow, Clark Terry as well as aspects of brass playing traditions in America and Europe. "Bolden’s Brass: The Cornet and the Invention of Jazz"
Buddy Bolden, the New Orleans cornettist who may have invented jazz, was widely known for his ability to play loud. Raised in the Baptist church, Bolden surely learned a great deal from the black folk preachers who dropped "blue notes" into their sermons, improvised around their texts, and spoke musically with a deeply affecting rhythmic "groove." And they did it all with great volume. In addition, Buddy Bolden could not have created jazz with any instrument other than the cornet. As the loudest instrument in the band, it was destined to become a dominating musical voice. And the American-made cornets that Conn mass-produced in the late nineteenth century were well-made but sufficiently inexpensive so that an impoverished black musician suddenly had access to the best equipment. Allowing for the importance of strictly musical influences, jazz would not have evolved as it did without the black gospel preacher and the moderately priced Conn cornet. "Kid Ory and the Messages of History"
Kid Ory (1886-1973) along with Jack Teagarden, Tommy Dorsey and a few others, was one of the iconic trombone players of jazz history. He earned his first fee as a player in the 1890s and performed for the last time in public in 1971. In 1922 his band, playing under the name Spikes’ Seven Pods of Pepper, was the first African-American band to record jazz; his last studio recording was in December 1961. His long career falls into two periods separated by a hiatus of more than a decade when he was (primarily) a chicken farmer. In the first he was a band leader and player who typified the tailgate style, in the second he was one of the most conspicuous personalities of what came to be called the traditional jazz revival. Ory is one of the most cited players in literature about jazz and one of the most recorded of his generation, yet little is actually written about him and the way he played. This paper is about Ory’s playing and his contribution to jazz style. It is also a comparison of the two Orys: the New Orleans player, and the post-1940 player who was, in effect, the remembrancer of the style that he had done much to create. The story of Ory and his playing stands as lesson for anyone who tries to understand the history of brass playing of any style, in any place and in any period. "A Moment of Change, I Got the Blues (1908)"
A significant moment of change took place in the development of jazz when Anthony Maggio composed, and the Cable Piano Company of New Orleans published, I Got the Blues (1908). This was the first known twelve-bar composition with a blue-note melody; titled as a “blues.” 1000 copies of this “up-to-date rag” were printed for piano, 500 for strings orchestra and a further 500 copies for brass band. An arrangement for brass band of is found in John Robichaux’s music library held at the Hogan Jazz Archive in New Orleans. Robichaux led one of the leading bands in New Orleans in the early years of the twentieth century and the publication of I Got the Blues (1908) gave trained musicians access to notated “blues,” probably for the first time. My paper will situate this moment of change, within the context of the changing repertoire of Robichaux’s band and consider the significance of Maggio’s composition in relation to Robichaux’s earlier rag-time repertoire and the later “blues” that he and his band performed. "The 36 Etudes Transcendante pour Trompette, Cornet a Pistons, ou Bugle en Bb by Theo Charlier (1868-1944): An Early Twentieth Century Trumpet Player/Teacher’s Response to the Modern Style of Orchestral Writing for the Trumpet." A new level of technical and expressive capability was initiated for trumpet players with the invention of the valve and its application to the trumpet. Orchestral composers such as Wagner, Mahler, Strauss, and Debussy adapted the trumpets’ role in the orchestra to take advantage of its improved technical and expressive potential. Trumpet players and teachers responded to these heightened demands by developing pedagogical materials by which they and their students could perfect the more exacting skills necessary to perform this new music effectively. In the Forward of his 36 Etudes Transcendante, Cornet a Pistons, ou Bugle en Bb, Belgian trumpeter Theo Charlier states that the 36 etudes included in his collection were intended to "help the young player who desires to play modern music correctly.” In this paper I will identify the manner in which the etudes reflect the influences on the evolution of trumpet writing by identifying similarities between particular etudes and specific orchestral works, compositional styles, new playing techniques, and older playing techniques applied to new musical settings. "Buhl, Kresser, Dauverné, and Chromatic Trumpets in France c. 1820-1850"
From c. 1820–1850, trumpeters in France continually adapted to the numerous technological advances made to the trumpet as it gradually attained full chromaticism. As the instrument evolved from a natural instrument to hand-stopping, keys, and valves, so did the pedagogical approaches used. 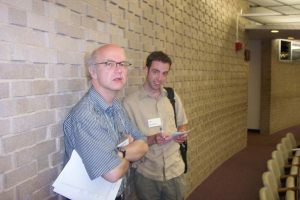 Dauverné’s natural trumpet method and Arban’s cornet method, both of which appeared near mid-century, provide a definitive punctuation point to this prolonged period of uncertainty in pedagogy and technology. Yet the lives and instructional methods of French trumpeters in the transitional decades leading up to the appearance of the Arban and Dauverné methods have been little studied. In this paper I will provide a foundation for the investigation of the trumpet’s development in France during these pivotal years using three case studies: David Buhl (1781-1860), Joseph Gebhardt Kresser (d. 1849), and F.G.A. Dauverné (1799-1874). The lives of these three trumpeters crossed one another in numerous ways as they performed in the same ensembles, taught at the same institutions, and published competing method books in close succession. For instance, Kresser’s given name and death date were unknown until they were recently uncovered in the records of the Société des Concerts in Paris and in various contemporary Parisian periodicals. Both Buhl and Dauverné played in the Société for a number of years as well. The details of Buhl’s life will be revealed in new detail as well, including a carriage accident that threatened his career with an early demise and a successful comeback complete with a late-life solo tour. Finally, while Dauverné is today portrayed as the undisputed Arban of an earlier generation, my research will show that his reputation suffered significant setbacks midway through his career. He was forced to resign from a number of ensembles in 1828-29, and thereafter limited himself to teaching for the most part. Even fifty years later his obituary portrayed him as standing in the shadow of his revered uncle (Buhl). My paper will conclude with an investigation of the various trumpet methods written by these three individuals. In tandem they show the breadth of avenues available in trumpet instruction at the time. They also portray the three teachers responding to the needs of their students and to changing technology. Dauverné’s earliest trumpet methods, in effect, introduced the valve to France. Kresser’s method, on the other hand, focused on the more practical need for a refined technique of hand-stopping existing natural trumpets. Buhl, writing primarily for military musicians, focused on tonguing and other basics in trumpet performance at the cost of musicality. Each of these trumpeters also took an interest in instrument construction and other technical innovations. Buhl, for example, invented a metronome designed to standardize the tempos used by trumpeters in the French army to avoid confusion on the battlefield. In essence, the standardization of trumpet performance and pedagogy seen in late-nineteenth century France with the advent of approved. The improvisation of contemporary jazz trumpeter Terence Blanchard is analyzed and synthesized to define his improvisational style. Being born and based in New Orleans, Mr. Blanchard’s music reflects the current state of jazz improvisation in a unique way and points both backwards to the traditions of the past as well as to the present expressions of those ideals. It has implications for how improvisation is taught as well as what is expected of jazz trumpet players in today’s marketplace. Compiling information from more than 30 of Mr. Blanchard’s recorded solos, this research is the culmination of the presenter’s doctoral dissertation at the University of Northern Colorado. "The Entertainment Value of Novelty: Reinforcing and Challenging Femininity." acted out on the Vaudeville stage. This presentation will explore the publicity material and press coverage of several touring chamber and symphonic music acts performing with female brass players between 1890 and 1930. As the Victorian era came to a close, groups such as the Phillips Sisters Orchestra, the Cathedral Trumpeters, and the Brewer Concert Entertainers toured the nation performing on the newly established vaudeville and theater circuit. Because many people associated women on stage with the chorus line and burlesque shows, these groups were careful to market themselves in specific ways. A close look at these marketing strategies reveals how carefully women had to work around common perceptions of women in musical theater, by continually emphasizing their class and professionalism. Elaborate costume and presentation were an important part of the performances, and the programming was carefully planned to appeal to the widest possible audience. "The King Oliver Band at Work"
The recordings of King Oliver’s Creole Jazz Band are often cited as being among the most important recorded examples of genuine New Orleans jazz at a time when the music was still new to the public at large. They have also spoken to generations of musicians and music lovers as a kind of text on how to play the music that has become known as traditional New Orleans jazz. These thirty-seven sides have generated much passionate discussion over the years, a good bit of it centered on apocryphal tales. Thinking of King Oliver’s Creole Jazz Band as one of the great jazz organizations of all time, as many of us do, can easily obscure the perception that Oliver’s band was first and foremost a dance orchestra, as were most jazz bands of the day. Examining this music only from the listener’s perspective can lead one to overlook the musician’s sense of what they were all about. For instance, they made frequent use of published stock orchestrations and even based several of their recorded performances on them. They performed in the framework of a well disciplined ensemble using hot playing and improvisation as an embellishment to precisely stated melody, consistent and correct chord changes and clear, compelling tempo. This presentation will examine the Oliver band’s function as a dance orchestra, one that that both read music and improvised. It will also address the impact Joe Oliver’s had as a player and the profound ways he used subtle musical gestures to communicate with his musicians.